1. There’s no off switch. When a client leaves the room after a session, I don’t stop being a Medical Intuitive. Unlike a pilot who steps out of the plane after landing and walks away on solid ground, I don’t stop receiving intuitive information. Not necessarily about my last client, but generally I am always receiving. 2. We all have the right to give consent (or not). Whether I choose to give consent to be a receiver on behalf of another, or someone else gives consent for me to receive information on their behalf, an ethically-minded Medical Intuitive knows that consent is an important two-way street. We both need to give consent for the energy exchange to happen smoothly. It’s this consent that has become my saviour at social events. I used to cower in the corner at gatherings suffering from the physical slings and arrows of my fellow party-goers. Until I learned that I was the one giving open slather consent to receive everyone else’s stuff. Once I realised I had a choice and the right to say “not now”, I was able to stand back on my two feet at a party and talk like a (somewhat) normal person. The flip-side is that from the moment a client books in with me, because I’ve already given an element of consent to receive information on behalf of my clients, I start receiving their stuff. 3. When people ask me what I do for work in public places, sometimes I say I’m a math teacher/tax accountant/in HR. Or sometimes I harken back to a simpler time in my life, many years ago, and say I’m a physiotherapist. But that runs the risk of people wanting to book in with me to have their spine mobilised. HR works better. No one wants to know more. When I say I’m a Medical Intuitive in some places, I am usually hit up with a bunch of questions. These invariably end with the other person backing away whilst trying to inconspicuously search my head for horns. Or they say “Do I have cancer? Can you tell me what’s wrong with me?”. At the supermarket. While I’m trying to buy groceries. So I’ve learned to be choosy about where I share my job title. At networking, spiritual or health events I am a loud and proud Medical Intuitive. In the queue at the supermarket or whilst trapped in my seat next to a chatty person on a plane I am something that doesn’t invite questions (and subsequent backing away). 4. There’s a limit to how many clients a Medical Intuitive can see in a week. For each of us it is different. I had to experiment when I was starting out. And I found my limits by busting them. When I schedule too many client sessions in a week I can become tired or sick, and don’t have time for my own personal devotional practices. These practices are the cornerstone of my own life and health. If I’m not walking my talk, then who am I to be guiding others? They also ensure that I remain grounded, deeply connected and a clear channel for receiving information and guidance. We’ve all been to see doctors that are far from the picture of health. Or met obese, chain-smoking nurses when in hospital. If we are working in health, in my opinion, we need to be to some extent a walking advertisement for our work. Not 100% healthy all the time (we are still human, after all) but at the very least doing the work ourselves to prioritise our own wellbeing. So I’ve learned where my limits are and I honour them. 5. I have rituals that I do before seeing clients, in-between sessions and after a day’s work. No, there are no goats involved! My work day starts with careful preparation of my workspace. Setting up the physical environment is important, as it is in any job. I treat this as a sacred ritual, along with my energetic preparation. I fill glasses with filtered water, cleanse the space with incense or room sprays, light my lamps and prepare my paperwork. Then I sit on the floor in the middle of my room to prepare energetically. 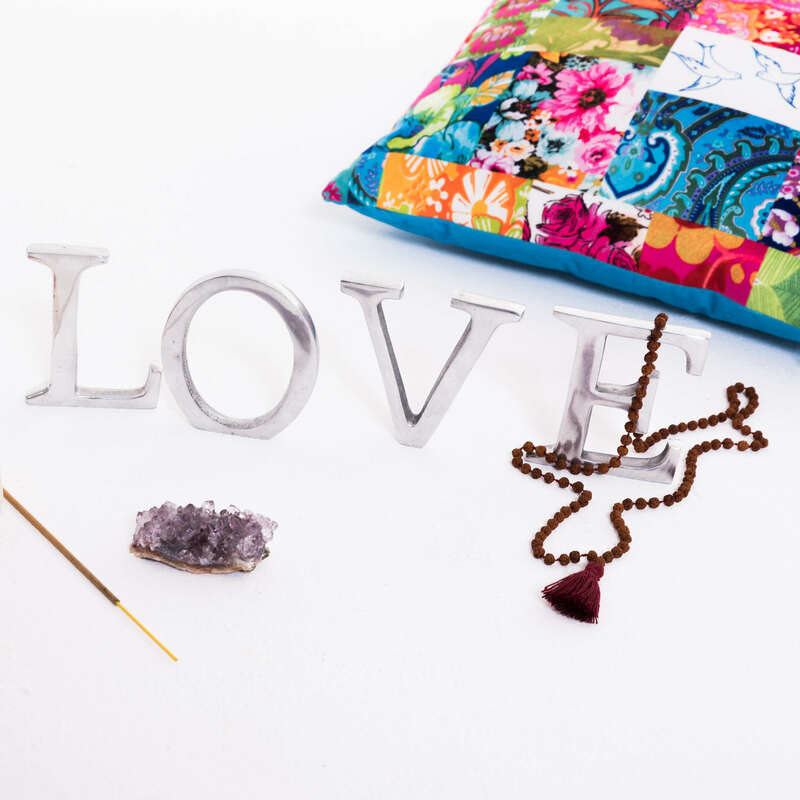 This involves my own personal blend of meditation, chanting, prayer and intention setting. Between sessions I’ve been known to have loud dance-breaks to upbeat music, among other rituals, to cleanse the energy and prepare for my next client. Sometimes I even sneak in some sacred lunch. At the end of the day, I go through a simple closing ritual to finish my work, releasing attachments from my day. This way they don’t follow me back into my interactions with my family. 6. You don’t need to tell me your medical history. You can. But it isn’t necessary. Your body and energy will bring to light exactly what you need to work on at the time of your session. Your medical history is often a long list of where you’ve been. Not what’s coming up for you right now. 7. Medical Intuitives get sick. This one may surprise you. You may be thinking “shouldn’t Medical Intuitives have all their ducks in a row, health-wise?” No one is perfect. And no Medical Intuitive is an island. We are all on a health journey. Every. Single. One. Of. Us. We each have a body that has a history. Some of it medical. Some of it serious. And some of us also have children in pre-primary who roll around in other children’s snot for kicks. Or teenagers who love to exercise their right to not wear a jacket in winter, no matter how much hail is falling. So illness happens to us all at one point or another. Including me. All we can do is learn to listen to our body and honour its needs when they arise. And be open to learning from the journey. So there you go: that’s 7 things you might not have known about being a Medical Intuitive. 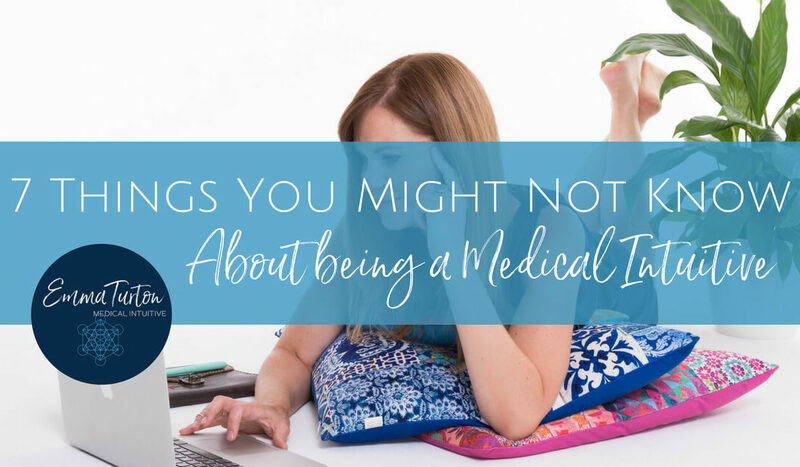 If you’d like to read about what a Medical Intuitive does, and why I don’t call myself a Medical Medium, keep reading here.